Sony has finally announced the highly anticipated Sony PlayStation 4 release date which gamers worldwide have been patiently waiting for. 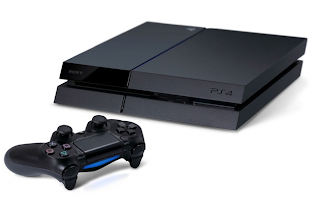 The new next generation PlayStation 4 console will be launching on November 15th 2013 in the US and slightly later throughout Europe on November 29th and other parts of the world. incase you haven't read, the Sony PlayStation 4 console will packed with 8-cores of AMD Jaguar processing power supported by 8GB of GDDR5 RAM together with a next generation AMD Radeon graphics card to process your games graphics. PlayStation 4 console will also include a 500GB storage drive, together with 2 x USB 3.0 ports, and 1 x AUX port, Wi-Fi, Bluetooth 2.1+EDR, and HDMI port. The PS4 will be priced at $ 399.99 which is almost $ 80 cheaper than Xbox which is expected to be available around the same time.